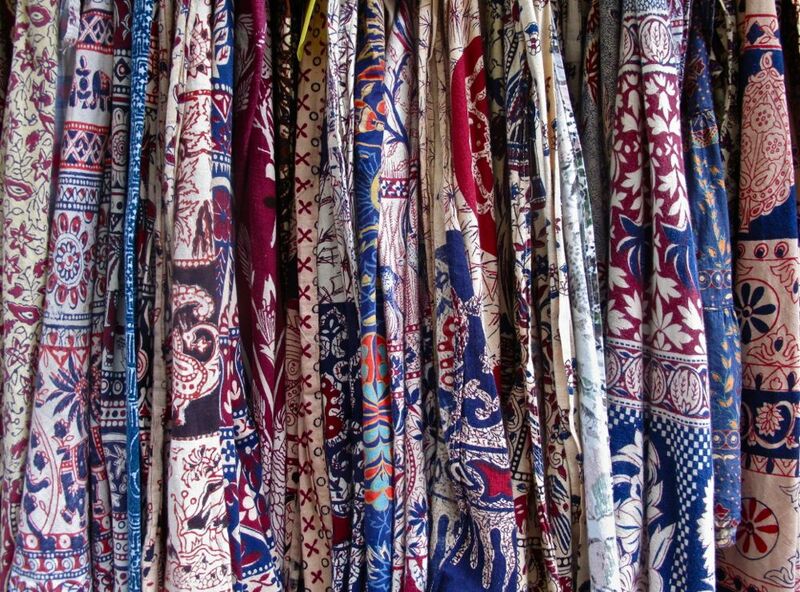 A selection of Indian wrap skirts at Stella Dallas, NYC. I’ve always loved Indian wrap skirts from the 70s. They’re made of that thin, soft cotton that feels like it’s been washed forever (but is actually just finely loomed) and they look great with a tank and flat sandals or over a bathing suit…or as I like to wear them, dressed up a bit. Don’t be lazy and buy them at Free People for $128 when vintage ones are widely available for around $25. And don’t forget to appreciate the variety of prints, which to me are works of art.